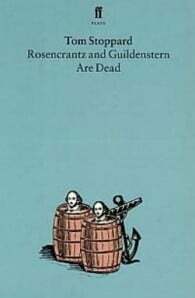 Rosencrantz and Guildenstern Are Dead is a play which, as it were, takes place in the wings of Hamlet, and finds both humour and poignancy in the situation of the ill-fated attendant lords. The National Theatre production in April 1967 made Tom Stoppard’s reputation virtually overnight. Its wit, stagecraft and verbal verve remain as exhilarating as they were then and the play has become a contemporary classic. Tom Stoppard was born in 1937 in Czechoslovakia. 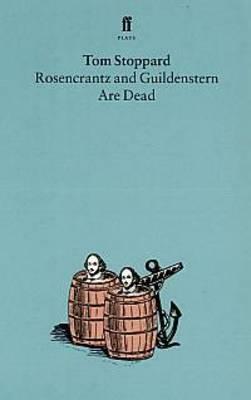 His first major success, Rosencrantz and Guildenstern are Dead, was produced in London in 1967 at the Old Vic after critical acclaim at the Edinburgh Festival. Subsequent plays include Enter a Free Man, The Real Inspector Hound, Jumpers, Travesties, Night and Day, Every Good Boy Deserves Favour (with Andre Previn), After Magritte, Dirty Linen, The Real Thing, Hapgood, Arcadia, Indian Ink and The Invention of Love.